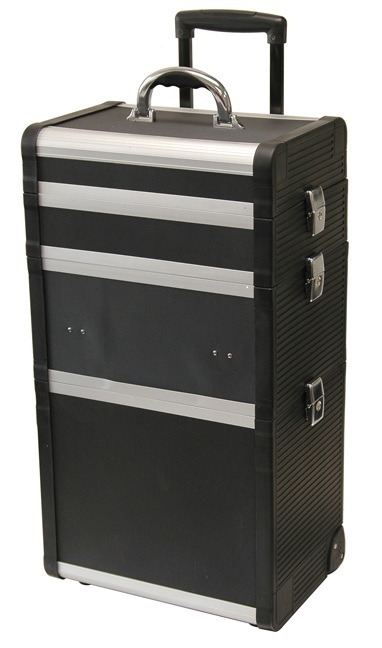 This is the first in our new line of beauty cases featuring durable molded polypropylene side panels. 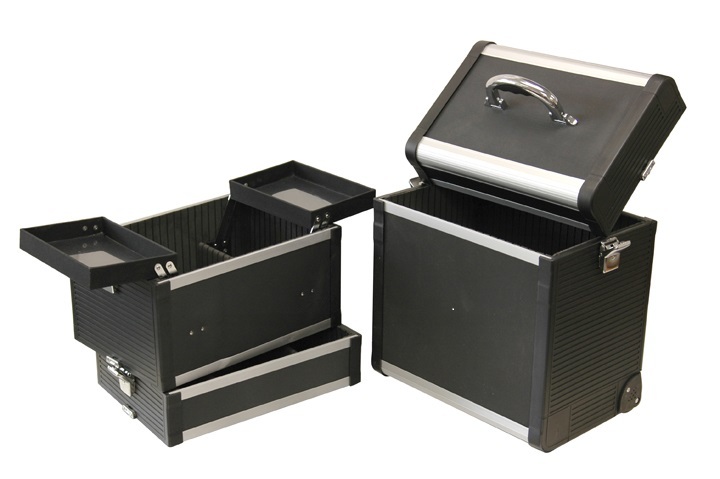 The case features Black Dot ABS panels, aluminum trim, molded polypropylene side panels with accent stripes, key lock latches, pull-up handle, wheels and comfort grip handle. OD: 14.5" x 10" x 26.25"
Shipping dimensions: 17" x 13" x 30"